Admiral Lord West served in fourteen ships and commanded three. He commanded HMS ARDENT in the Falkland Islands where she was sunk in their successful recapture. Awarded the Distinguished Service Cross he led the Victory Parade through the City of London. He was a carrier battle group commander for two years and took the 22 ship group to the Far East for the Hong Kong withdrawal. He served three years as head of Naval Intelligence and three years as Chief of Defence Intelligence during which time he provided intelligence for the Kosovo war. He was Commander-in-Chief Fleet for the invasion of Afghanistan and First Sea Lord for the invasion of Iraq. On retiring he advised both Conservatives and Labour on defence and foreign policy before, in July 2007, becoming the Minister responsible for national security and counter-terrorism as well as cyber security. He produced the nations first National Security and Cyber Security Strategies. 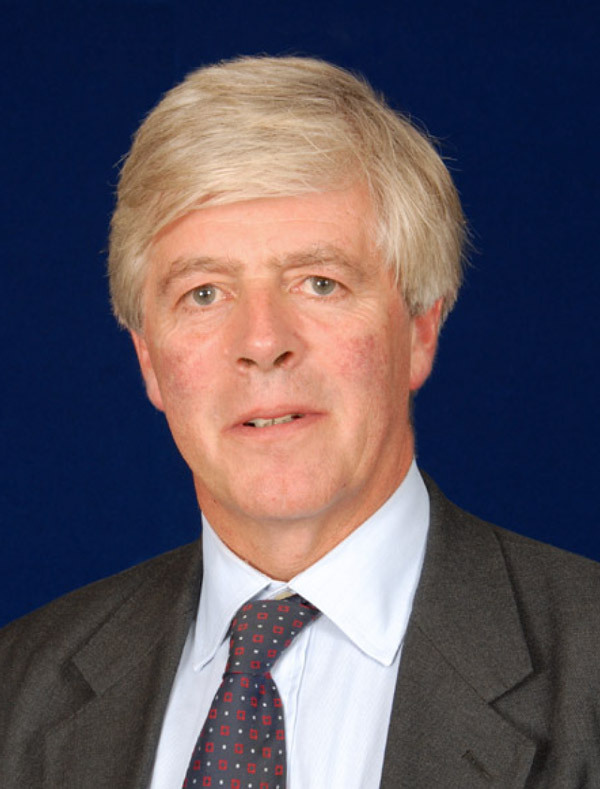 He left government in May 2010 and is currently chairman or strategic advisor to a number of companies, a motivational speaker, Knight President of the Knights of the Round Table, patron of the Docklands Sinfonia, media programme maker, philanthropist , plus a number of other appointments. He is much sought after to advise on strategic risk. Lord West was made a Knight Commander of the Order of The Bath in 2000, Knight Grand Cross in 2004, Baron in 2007 and a Privy Counselor in 2010. Lord West was made a Knight Commander of the Order of The Bath in 2000, Knight Grand Cross in 2004, Baron in 2007 and a Privy Counselor in 2010. 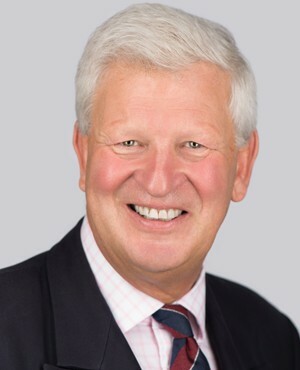 Member of Parliament for North East Bedfordshire 2001 – present. Member of Her Majesty’s Most Honourable Privy Council. Alistair is married to Eve Burt, has two grown up children and a granddaughter. He has run ten London Marathons, and watches football whenever possible. Tony served in the UK’s Royal Marines as an officer for over 20 years. His experience ranges from the complexities of contributing to government security strategy, to the multidimensional delivery of security in fragile, complex environments across land and maritime domains. As a Founder and the Managing Director of MSS Global, Tony has substantial experience running a specialist internationally accredited Certification Body. With a background in complex environment operations, MSS Global focus on the rigorous, ethical auditing and certification of land and maritime private security companies against international standards, including in some of the most challenging areas of the world. 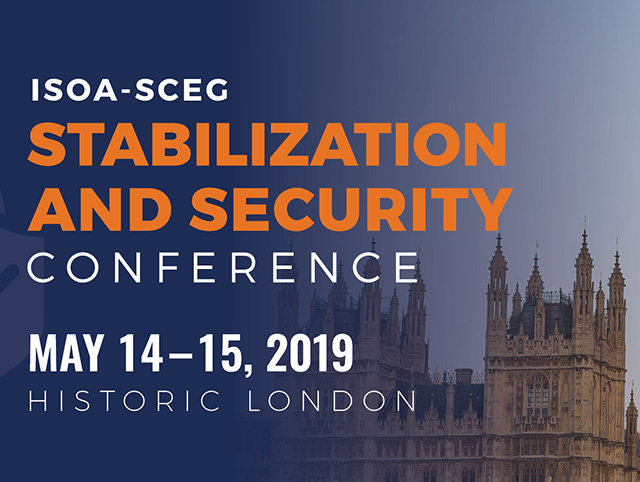 With presence in both the UK and US, and partners internationally, the company are arguably world leaders in this arena, and are members of groups such as the SCEG, ISOA and ICoCA. Recognising the demanding nature of these sectors, MSS Global are the only Certification Body internationally accredited to be competent to audit and certify for land security (against ISO 18788 and ANSI/ASIS PSC 1), and maritime security (against ISO 28000 with ISO 28007). Tony’s unique skillset has been recognised at national level in the UK and US; he is a member of UK committees for the development of ISO 18788, PSC-1 and ISO 28007, and sits as an invited member on the US working group for PSC-1. Journalist and former Director of the Royal African Society. Born 20 March 1949 Surrey United Kingdom. 2008 – Published Africa Altered States, Ordinary Miracles (Portobello Books). A new updated edition will be published later this year. I have travelled extensively, mainly in Africa and written for The Times, Guardian, Daily Mail and other publications. I have also made several films for the BBC and Channel 4 and appear regularly as a commentator on African issues in print, online, radio and TV. I am regularly asked to speak at meetings and events. I am on the Executive Committee of the Commonwealth Journalist Association. As Director of the Royal African Society I expanded the range and depth of its programmes, introducing very successful annual book and film festivals, Africa Writes, held at the British Library and always sold out, and Film Africa, showing films in ten London cinemas over 10 days. In reporting for the media I have always tried to explain what is happening by reference to the past. The history of the story and the threads that lead to what is happening, why and how we got here have been the drivers of my work. Glynne Evans was a University lecturer and a Visiting Professor before joining the Diplomatic Service. As a diplomat she specialised in multilateral work especially European Union, United Nations and international conflict management and peacekeeping affairs. She was seconded as a Research Associate to IISS and as the Distinguished Visiting Fellow to the NATO Defence College. She also served as Ambassador to Chile and to Portugal. She has been a Senior Adviser to Olive Group (a Constellis company) since 2006. 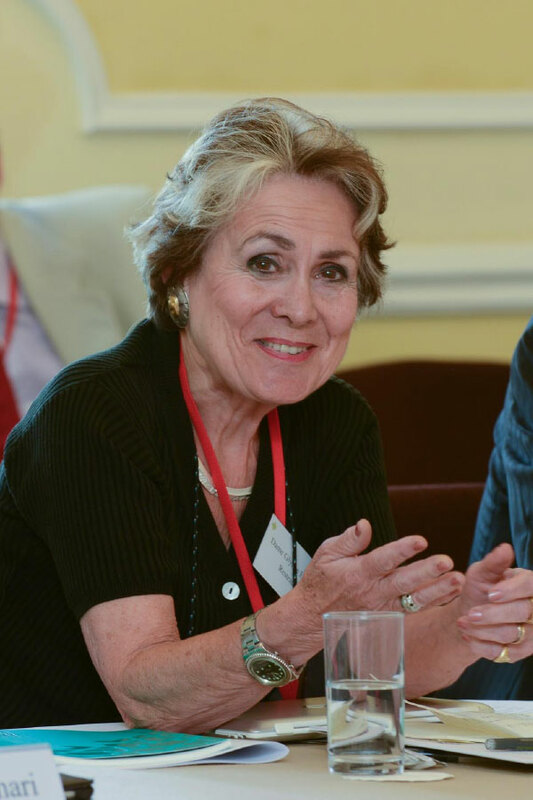 She has been closely involved with the development and negotiation of Standards for the private security industry (especially PSC1 and 2 and ISO 28007 and ISO 18788, as well as the ICOC and the International Code of Conduct Association and the development of the Rules for the Use of Force Handbook. She has chaired the Standards and Accreditation Group of SCEG (SAG) since 2012. OC P Company; the selection organisation for all British Airborne Forces. OC A Company, 3rd Battalion the Parachute Regiment on internal security operations in Northern Ireland and in Iraq. Commanding Officer 1st Battalion the Parachute Regiment on tours in Afghanistan and Iraq. Commander 16 Air Assault Brigade, the UK’s only very high readiness intervention brigade. Deputy Commanding General US 82nd Airborne Division, the US Global Response Force. General Officer Commanding 1st UK Division. The British Army’s light forces division with specific responsibility for Overseas Capacity Building and Engagement. Chief of Staff, 12 Mechanised Brigade. Military Assistant to the Assistant Chief of the General Staff. An instructor at the UK’s Joint Services Command and Staff College. Assistant Chief of Staff J5 at the UK’s Permanent Joint HQ (PJHQ) responsible for national operational level planning for the Middle East and Asia during the Iraq and Afghanistan Campaigns. J5 Planner – Special Plans Team, US Central Command (CENTCOM). Outside of operational theatres he has also served in Arctic capable units in Norway and Canada, and on Jungle training in Botswana, Kenya and Central America. He has attended all the normal UK staff courses, including the Higher Command and Staff Course (HCSC) and been the first UK officer to attend the 1 and 2 Star phases of the US Army Strategic Leadership Development Programme. He is Deputy Colonel Commandant of the Parachute Regiment and President of Army Golf. His current role holds responsibility the effective delivery of Defence Engagement activity around the world. 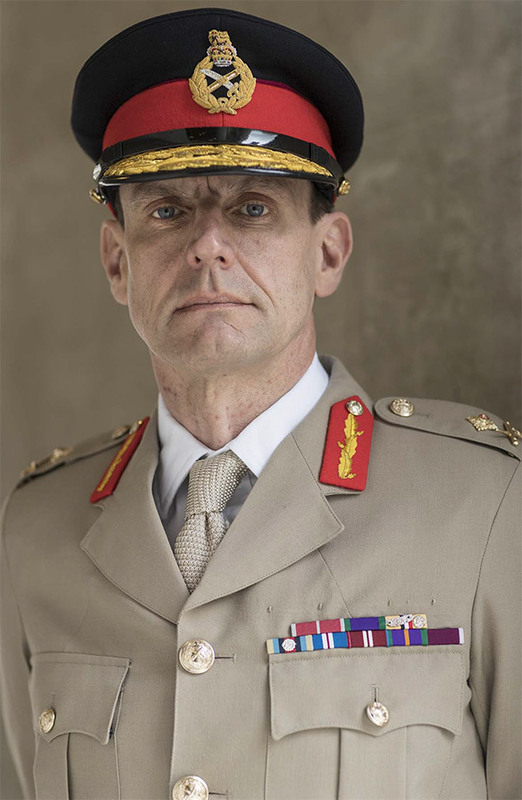 He takes up his next appointment, on promotion to Lieutenant General, as Deputy Commander Resolute Support in October 2019. Jeremy Keenan, a graduate of St. John’s College, Cambridge, is a Social Anthropologist and an internationally renowned authority on the Sahara-Sahel. He is Visiting Professor in the Law School at Queen Mary University London and Professorial Research Associate at SOAS. He has over 300 academic publications to his name, including 12 books, of which 6 (plus two – provisionally entitled The Sahara’s Long War & Lost World of the Tuareg - in preparation) are on the Sahara-Sahel. His PhD thesis on the Tuareg of the Sahara was a seminal work on the region and its people. He is also Senior Associate at Menas Associates, the London-based consultancy firm. He advises numerous international bodies on the political and security situation in the Sahara-Sahel, including the UN, EU, NATO, UK’s FCO and MOD, US State Dept., as well as several European governments, (I)NGOs, corporates and broadcasting networks. Howard Lind is serving as the President and Executive Director of the International Stability Operations Association, which represents companies who support the US government and allies around the world. Prior to joining ISOA, he served as a Washington, DC, representative for the Fluor Government Group’s work in the Middle East and Central Asia. He later served as the Chief Operating Officer for Matlock & Associates, a woman-owned small business, specializing in engineering, construction, and logistics services in support of the US government domestically and in the Middle East, central Asia, and Africa. Howard Lind served in the Departments of Defense and State in the offices of Iraq and Afghanistan reconstruction from 2003 to 2007. He began with the Coalition Provisional Authority at the Pentagon in support of the US Ambassador to Iraq, and then worked in the State Department’s Near East Affairs/Iraq Office (Secretariat for Political Affairs) for the Iraq Reconstruction Management Office. He later served in the office of the Assistant Secretary of the Army for Acquisition, Logistics, and Technology as Deputy Director for the Iraq Project and Contracting Office. He began his professional career as a US Naval Officer, retiring in 2000 after 20-years of service. He received a Bachelor’s degree from Virginia Tech and a Master’s degree from the Naval Postgraduate School. Jamie Lindsay is currently Chairman of UKAS (the UK’s National Accreditation Body), the sole body recognised by Government in the assessment and verification against international standards of performance, products and services in both the private and public sectors. UKAS accreditation has a national and international role in underpinning trust, confidence and credibility. Jamie is also Chairman of BPI Pension Trustees Ltd., Non-Executive Director of Brockwell Energy Ltd. and a member of the House of Lords EU Committee on Financial Affairs. 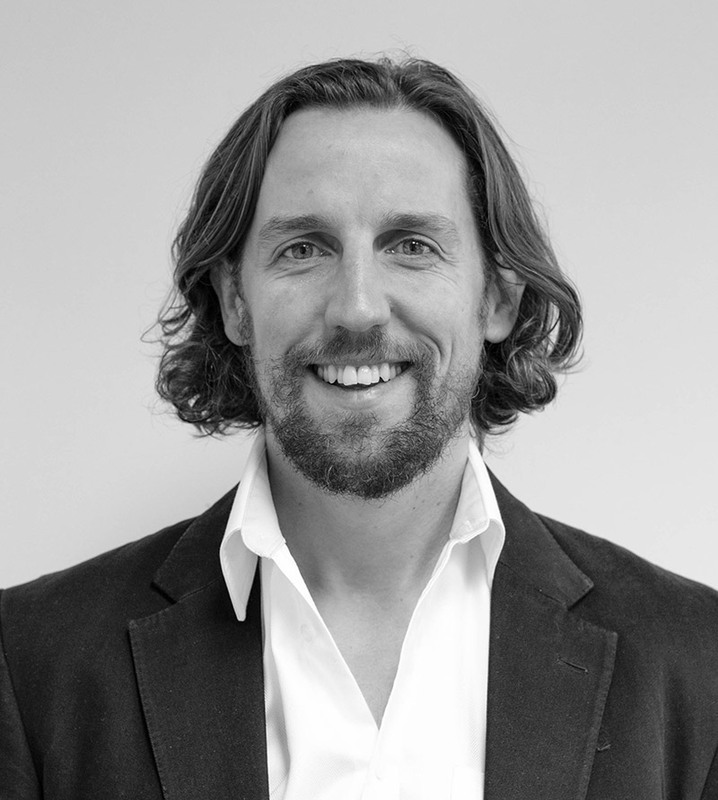 Jamie’s career has included a number of senior Public, Private and NGO sector appointments. 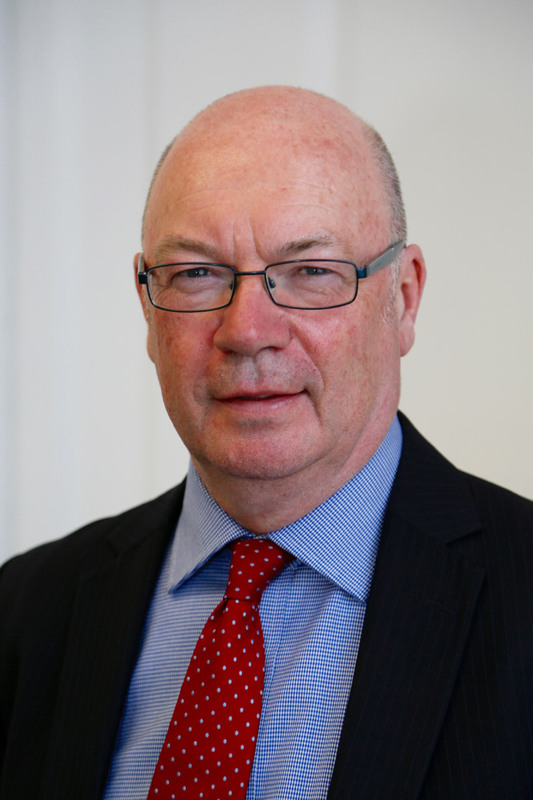 He is a former Government Minister and has since advised governments on regulation with roles on the Better Regulation Commission (Deputy Chair), the Risk & Regulation Advisory Council (Joint Chairman) and the Better Regulation Strategy Group. He has held a number of senior positions in the food industry and other economic sectors. Jamie is also currently President of the Chartered Quality Institute and Vice President of the Chartered Trading Standards Institute amongst other NGO roles. Sir Simon recently retired from a long and distinguished career in which he served in a variety of senior military and political advisory roles focused on the Middle East Sir Simon began his career with the British Army in 1978 and held a series of increasingly senior roles until his retirement in July 2015. Most recently Sir Simon served as Deputy Chief of Defence Staff (Operations) from 2009 - 2011, Defence Senior Adviser (Middle East) from 2011 - 2014 and as the Prime Minister’s Security Envoy to Iraq from 2014 - 2015 Sir Simon joined Greenhill & Co as a senior advisor in September 2015. Sir Simon received his modern history degree from Balliol College, Oxford. Sir Simon also has a master’s degree in International Relations and Affairs from King’s College London, having achieved the level of distinction. During a Defence Fellowship at St Antony’s College, Oxford, Sir Simon published a thesis on Turkish, post-Cold War Security Policy. Sir Simon speaks Arabic, French and German. Christopher Mayer is a key actor in promoting ethical public/private partnership in relief, recovery, and reconstruction in conflict, post conflict, and complex emergencies. As Chief of Staff, Program Management Office, Coalition Provisional Authority (2004-2005), he coordinated military, civilian and contractor efforts for the strategic reconstruction of Iraq, including the development of oversight and accountability mechanisms for private security services. Upon return to the United States, as Chief of Staff, Defense Reconstruction Support Office, he represented the United States in the negotiation of the Montreux Document, and then served as Senior U.S. Military Observer and Chief of Civil Military Coordination for the UN peacekeeping mission in Liberia. 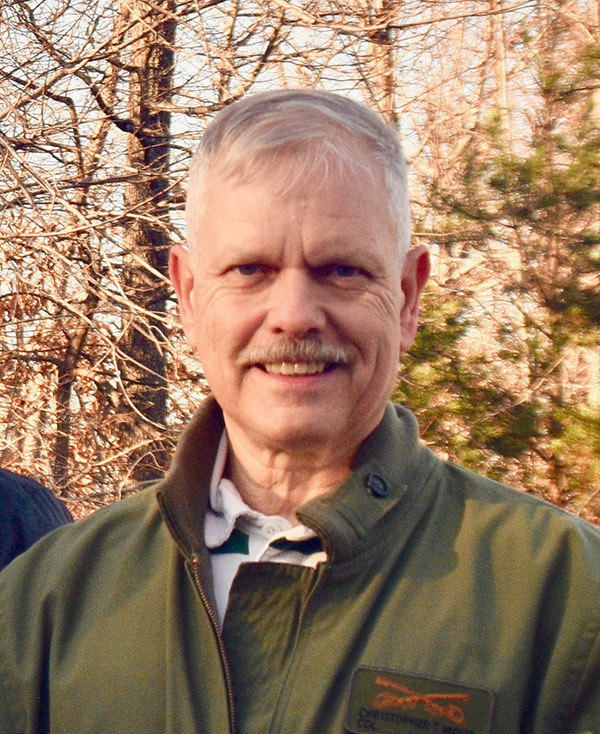 Upon retirement from the Army, Chris was brought back in to the Pentagon to negotiate the International Code of Conduct for Private Security Providers and was responsible for developing the American National Standard (ANSI/ASIS PSC.1) and international standard (ISO 18788) for private security operations currently in use by more than 100 private security companies. In active duty and civilian service, Chris shaped Defense Department policy regarding private military and security companies and continues to coordinate interagency and international efforts regarding regulation and oversight of armed private security and related services. Chris’s other experience in combat, post-combat reconstruction, and humanitarian operations include assignments in armor and reconnaissance (cavalry), civil-military operations, disaster relief, and emergency management in the United States, Europe, Southwest Asia, and Africa. A member of the ISOA Advisory Board, Chris is a graduate of the U.S. Army War College, the Air War College, and is a frequent guest lecturer at universities and institutes in the United States and Europe. Tim Morris spent 37 years in the British Diplomatic Service, with spells in Japan and Western Europe and working on international organisations, and his last ten years working on Africa, as British Ambassador to Morocco and Mauritania, Coordinator on the Sahel, Head of Mission in the Democratic Republic of the Congo, and Special Envoy to the South Sudan Peace Talks and subsequently British Ambassador to South Sudan. In his last year he was Senior Advisor on Trade with Africa in the Foreign and Commonwealth Office. Tim is now a full time strategic consultant advising on investment in Africa. As well as being an Associate of the Ambassador Partnership LLP, he advises the Rudolf Wolff Commonwealth Infrastructure Fund (RWCIF), Africa Matters Limited, and Insight Consulting (Africa). He also carries out projects for a number of companies and organisations. He is an advisor to the Coalition for Global Prosperity, a charitable organization bringing together those in Parliament, Government, Civil Society and business who support the UK’s development programme. Gerry Northwood is currently Chairman of MAST. Since leaving the Royal Navy, where he reached the rank of Captain, he has enjoyed success in applying his hard won operations experience and skills to the commercial sector. During his naval career he commanded operations against Somali pirates in the Indian Ocean and narcotics smugglers in the Caribbean. He played a key role in the creation of the European Union Naval Force (EUNAVFOR) and Maritime Security Centre Horn of Africa (MSCHOA) and for this he was awarded an OBE. His commercial and military experience has made him an acknowledged expert in counter piracy and security, and this allowed him to help shape the increasingly successful relationship between the military and commercial sectors. He is well placed to assist clients with finding practical and cost effective solutions to their security and risk management needs. He has written opinion forming articles for the Times, Lloyds List and other maritime journals, and a film review of “Captain Phillips” depicting the Somali piracy attack on the MV Maersk Alabama, in the Guardian. Dr. Kori Schake is the Deputy Director-General of the International Institute for Strategic Studies. 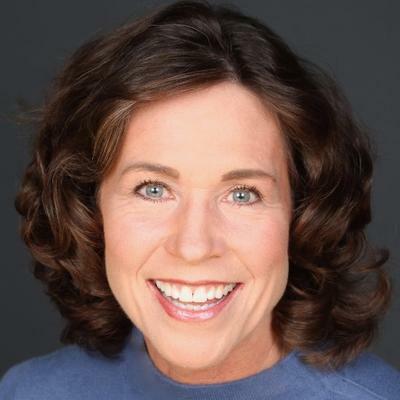 She is a contributing editor at the Atlantic, the author of Safe Passage: the Transition from British to American Hegemony (Harvard, 2017) and editor with Jim Mattis of Warriors and Citizens: American Views of Our Military (Hoover Institution, 2016). She has worked as Director for defense strategy and requirements on the National Security Council staff, as Deputy Director of policy planning in the State Department, and in both the military and civilian staffs in the Pentagon. In 2008 she was senior policy advisor on the McCain-Palin presidential campaign. She teaches in War Studies at King's College London and has previously taught at Stanford University, the United States Military Academy, the Johns Hopkins School of Advanced International Studies, and the University of Maryland. 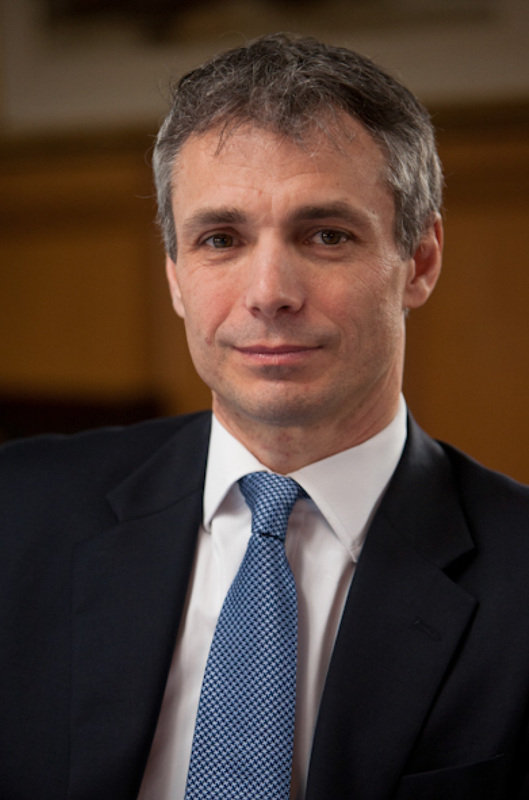 John Thompson is a co-founder of Ambrey and the Group Managing Director. John has overseen and led Ambrey’s growth from start up in 2010 to the largest provider of maritime security services globally in under five years. He has consulted extensively on security risk management projects in Europe, Africa, the Middle East and Asia, primarily with Shipping, Oil and Gas, Banking and Media clients. He spent 7 years serving in the British Army as an Officer in The Parachute Regiment on operations in Iraq, Afghanistan and Northern Ireland. During his career, he was awarded the Sword of Honour at the Royal Military Academy Sandhurst and served for four years with the Special Forces Support Group. Prior to founding Ambrey he led Control Risk’s Embedded Consultancy Services team in London and led Security Planning for the Olympic Delivery Authority during the build up to the London Olympic Games in 2012. He has an MA and an MSc from St Edmund Hall, University of Oxford.